Free Stuff Week From Kiam Records! For the remainder of March, when you buy anything from the Kiam Records webstore (that means anything – Tim, Amy, CCLR, Dump, Clint Mich, JO’C) and or the JO’C Bandcamp page, we will send you a free JO’C t-shirt or totebag (while supplies last). We’ll email you after your order to get your size/choice, etc. 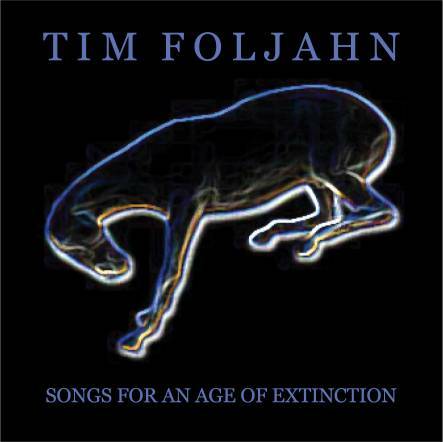 Tim Foljahn Songs For An Age of Extinction Out Today! Pick up a copy of Tim Foljahn’s excellent new record Songs For An Age of Extinction at your local indie retailer, through iTunes or Amazon, or right on the Kiam Records website. The LP is limited to 250 copies and is on blue translucent vinyl! The album is streaming all week on Spinner, so give it a listen! Great new review over at Dusted! Tim is touring with label mate Jennifer O’Connor all month – come out and see a show! A Very Choo Choo la Rouge January. The men of Choo Choo la Rouge live in Boston (Chris), Providence (Vinnie) and San Francisco (Jon) – and despite being geographically challenged shall we say, they are having a pretty active start to 2012. Well, Chris (pictured above in the sun) and Vinnie (forefront of shot/curly haired) have a new band called The Chrome Dreams. 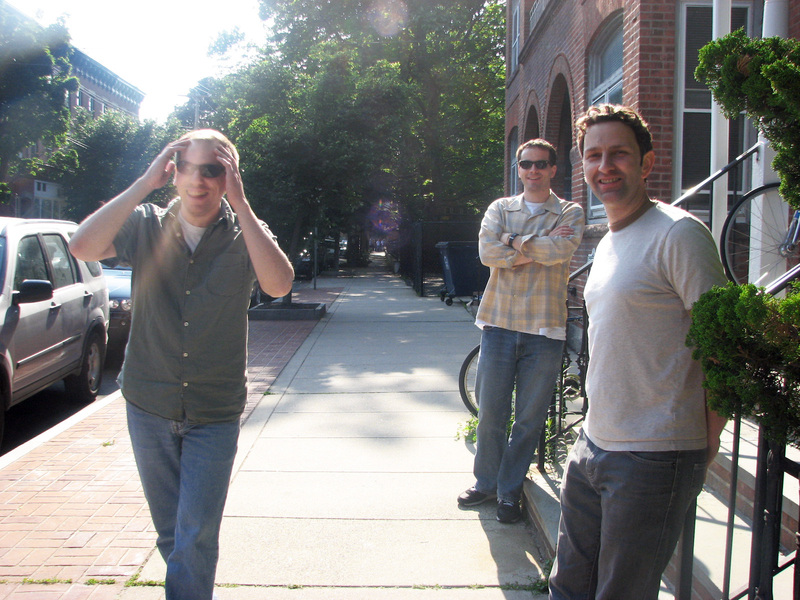 They are playing this Friday, January 20 at the Cantab Lounge in Cambridge, MA with The 90’s, Honest Bob and Father Octopus. Be there or be somewhere else. You’ll be able to hear Choo Choo la Rouge proper on the January 29th episode of Showtime’s Shameless. The show will feature the almost-title track from 2009’s Black Clouds, “Black Cloud.” If you listen closely, you will be able to hear Kiam label mates Jennifer O’Connor and Amy Bezunartea singing back-up vox in the choruses. Putting in my request now to hear Regular Guy, I’m a Truck, The Kind of Noise.. and Worse Mistakes on March 1. Kiam Records is very pleased to announce that Tim Foljahn will be putting out his beautiful new album, Songs For An Age of Extinction with us on March 6, 2012. Tim Foljahn is a Michigan-born, New York-based singer-songwriter/guitarist who has more than likely played on one of your favorite records. Some highlights from the tip of his iceberg-sized resume: He was the guitarist on the first two Cat Power records. He toured with and worked on the final Townes Van Zandt recordings. He lent his guitar skills to Half Japanese as well as the Boredoms. He played on the fantastic Thurston Moore solo record Psychic Hearts. All the while, Foljahn released a series of his own brooding and lovely song cycles and experimental recordings under the moniker Two Dollar Guitar. With Sonic Youth’s Steve Shelley on drums and a revolving cast of band and tour mates, including Smokey Hormel, Chris Brokaw and Christina Rosenvinge, the group released six albums on Shelley’s Smells Like Records label. Songs For An Age Of Extinction is Foljahn’s first “song-based” record since Two Dollar Guitar’s The Wear and Tear of Fear from 2006 and his first release for Kiam Records. The wait has been long, but worth it. Songs For An Age Of Extinction will be out on March 6, 2012 (digital, cd and limited edition blue vinyl). Foljahn will be touring in March (including SXSW) with Jennifer O’Connor. JO’C played an instore last night at the new Seminole Heights record store Microgroove in Tampa with indie-pop queen Tracy Shedd. Jennifer plays a the Crowbar in Tampa next Saturday night 12/10/11 w/ The Aloha Model, Folly Dean and Cavalo. Show starts at 8pm (JO’C around 11) tickets only $7 in advance, $10 day of show. Kiam Hearts Sons of Anarchy! Choo Choo la Rouge on tonight’s episode. Just a quick reminder that our very own CCLR will be on tonight’s episode of the always excellent Sons of Anarchy on F/X at 10pm EST. The track in question is the opener from 2009’s Black Clouds, “The Relentless Money Love Blues.” You may be familiar with those blues? Most of us are. In any case, this song sounds incredible blasting out of the car stereo speakers, I imagine it does on a motorcycle as well? Can you hear music when you are on a motorcycle? These are questions I do not have the answer to. Buy the blistering jam on itunes or purchase the full length cd from our webstore. 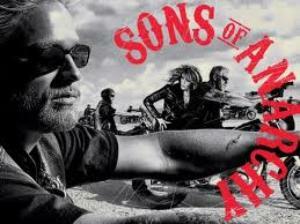 And watch SOA tonight, we will be! A Note from JO’C about her new record that drops today!